Few companies of the digital era are as synonymous with the concept of great customer service as Zappos. The Las Vegas-based footwear and accessory seller set the bar with a returns policy that allowed shoppers to receive a full refund for items they were unhappy with any time within a year of purchase. 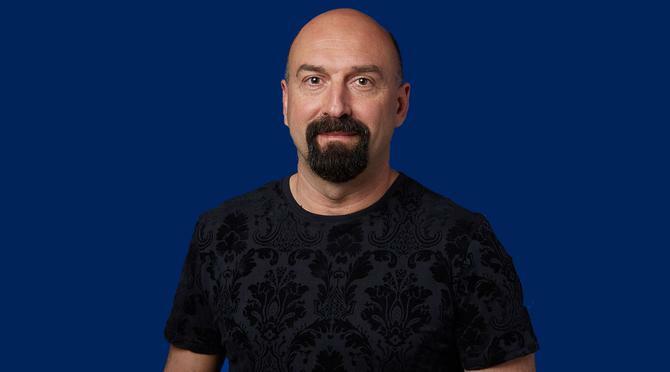 This policy allowed Zappos to quickly amass a loyal following, and keeping those customers happy is a key focus for the group’s head of customer research, Alex Genov, who is speaking at the forthcoming CX Innovation & Tech Fest in Melbourne. Genov came to Zappos with a background in experimental social psychology, and specifically in how emotions are formed and perceived. “That fed my perspective of not looking at people as a big blob, but always thinking about what are meaningful differences in certain contexts,” he tells CMO. As a result, Genov leads a team whose goal is always to understand customers as people first. “The way we phrase it here is Zappos is a customer service company that happens to sell shoes and clothes and handbags and accessories, but its DNA is customer centricity,” Genov says. That stance has informed all subsequent decisions, from pricing through to the returns policy and the experience that customers receive via phone and online support. The idea of always seeing customers as people first also heavily influences Genov’s research priorities, including current efforts to increase the personalisation Zappos offers to customers. This realisation led to a more formal survey into how people understood personalisation. The insights led Zappos to take a different approach to personalisation than some other retailers. For instance, Genov says many personalisation systems will make recommendations based on purchase history, but this can lead to consumers simply being presented with options that are similar to purchases they have already made. “Contrast this with true personalisation, where you understand what the person is trying to do by buying those shoes, and then help them more holistically,” he says. One example might be when Zappos understands that shoes are being purchased for a first date, and therefore are required to make a good impression. The site can then make recommendations for other apparel items that might match that occasion. Much Genov’s current focus is ensuring Zappos can match the quality of support it offers over the phone with the service it offers online, particularly through mobile devices, and giving customers the ability to ask questions and have them answered quickly and completely. And while Zappos has a generous and rapid returns policy, Genov says ordering shoes that don’t fit is always a disappointment for customers. Hence sizing is an area Zappos has made a focus for its research in artificial intelligence. “We have a very talented group of data scientists, and a lot of data,” Genov says. “So we are trying to predict the best size for you, and trying to personalise the experience. Aside from its focus on customer service, Zappos is also famous in business circles for its use of self-organisation as a key management principle. This includes the use of holacracy, a method of decentralised management where decision-making responsibilities are distributed throughout self-organising teams, rather than being centralised at the top of the organisations chart. The success of the Zappos model has been hotly debated in the business press, but it appears to be working, both from the perspective of Zappos’ owner, Amazon, and in the minds of its customers. Genov says the model also makes it relatively easy to get new initiatives off the ground, such as his own work in getting a customer advisory panel set up, and helps staff to remain focused on its customer satisfaction goals. “We have such a strong company culture, and one of the cultural values is ‘do more with less’,” he says. “So we are encouraged to on the one hand be adventurous and ask for forgiveness and not so much for permission, but at the same time being responsible. So you get this ‘business owner’ mentality.